Xinxiang Jincheng Machinery Manufacture Co., Ltd.
2. Slash initial cost Flexible conveyors cost far less than drag chain conveyors bucket elevators,pneumatic conveyingsystems and other conveyors of equivalent capacity,both initially and in operation. 3. Save on maintenance Rugged inner screw is the only moving part contacting material (no internal bearings) yielding ultra-high reliability with little maintenance cost or downtime. 7. End costly contamination Enclosed tube prevents dust and spillage,eliminating cost and quality concerns associated with contamination of your product and plant environment. KLS series flexible shaftless screw auger conveyor is widely used in pharmaceutical, chemical and food industry for conveying powder and small granule products. 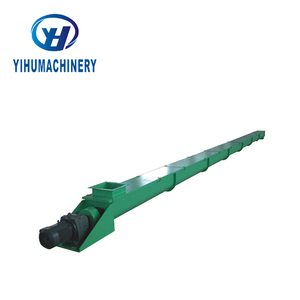 Standard Models of KLS series flexible shaftless screw auger conveyor : 1. Company profile: Changzhou Doing Machine Co. An unique design of a drying equipment for certain wet material is always made based on real production experiences or trial production. 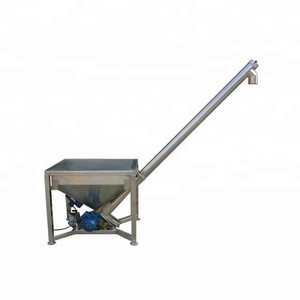 Micro-screw feeder is used for the uniform continuous feeding and unloading of small batch powdery materials. Technical Parameter Specific specifications and length can be customized according to user requirements. 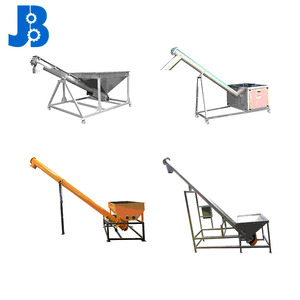 Is engaged in the vibration motor, vibrating screen machine, drawing machine, conveyor, bucket machine, silo wall vibrators. Cangzhou Zhongzhan Import And Export Trade Co., Ltd. 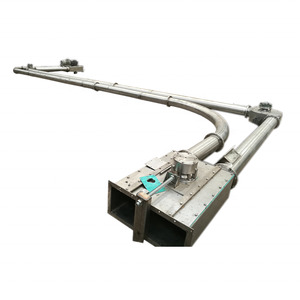 Flexible screw conveyor 1. of screw conveyor Screw Conveyor is a new type of transporting equipment, which use rotary screw vane to push material continuously in closed housing with round section. It is applicable to transport various kinds of loose material such as power, granular and small piece material, for example: clay powder, pulverized coal, cement, sand, grain, small piece of coal, cobble and cast iron filings, etc. 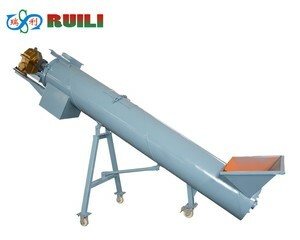 4.Working Principle LSY screw conveyor uses revolving screw to move the conveyor material in fixed casing, the bearings of head and tail are moved to shell, hanger bearing adopts sleeve bearing, which have dust proof sealing device, bearing bush usually adopts powder metallurgy,convey concrete adopts felt bushing, hanger shaft and screw shaft are connected by slider. 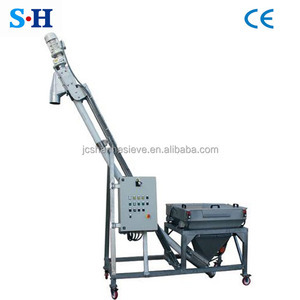 so the conveyor hold large load capacity and convenient to dismounting. 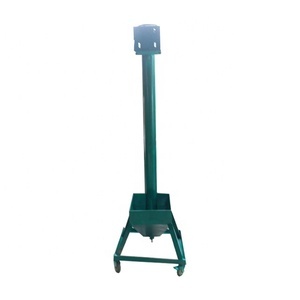 as it is easy to install,so this screw conveyor is special used for cement plant or transport powder in field working. Application of Screw Conveyor Building materials, metallurgy, chemical industry, electric plant. 2.High conveying capacity,safe and reliable operation. 3.Good adaptability and long service life. We can design,customize and do our utmost to meet customers' demands. 1. Screw flight: the material of screw flight is manganese steel, it has good wear-resisting and flexible. 2. Wear-resisting pipe: The material of screw pipe is PVC resin, the PVC resin screw pipe is very good wear- resisting pipe, this will prolong the service lift of screw elevating conveyor. 3. Driving device: Motor, belt pulley, transmission belt and safe cover. 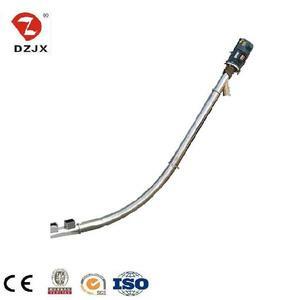 Alibaba.com offers 4,872 flexible screw conveyor products. About 85% of these are conveyors, 1% are other food processing machinery, and 1% are other machinery & industry equipment. A wide variety of flexible screw conveyor options are available to you, such as stainless steel, aluminium, and plastic. You can also choose from free samples, paid samples. There are 4,868 flexible screw conveyor suppliers, mainly located in Asia. The top supplying countries are China (Mainland), India, and Hong Kong, which supply 99%, 1%, and 1% of flexible screw conveyor respectively. Flexible screw conveyor products are most popular in Domestic Market, Southeast Asia, and North America. You can ensure product safety by selecting from certified suppliers, including 2,113 with ISO9001, 1,424 with Other, and 75 with ISO14001 certification.